The Rev. David Avery of Gageborough (Windsor) came to the siege of Boston as chaplain for Col. John Paterson’s regiment from western Massachusetts. Here is Avery’s diary entry for 28 May 1775, describing several hours of fighting over livestock and hay on the Boston harbor islands that lay near Chelsea. Decades later, local historians called that fight the Battle of Chelsea Creek. At the time, it didn’t really have a name. 28. L[ord]’s day. Yesterday a number of our army went on upon Noddle’s Island, but were repulsed by the Regulars. Upon wh they retreated to Hog Island, where a large number had taken the ground & got off the stock. Upon wh Regulars fired upon our men, then the Diana, a [Royal Navy] schooner with a number of barges came up & began their fire as soon as within swivel shot. Col. [Israel] Putnam & his men planted themselves in a Ditch near the shore & reserved their fire till the barges came within reach of musket shot,—when a most hot and brisk fire commenced on both sides, & the Regulars finding too warm reception tried very hard for our boats, but our men happily secured them & made their escape from the island upon wh the barges & schooners retreated & were engaged with great fury by our men along the musketry—when Capt. [Thomas Waite] Foster of the train came up with two field pieces of 3 pounders & with one shot of a Double charge cleared the Deck of the Diana & she drove & lodged on the Ferry wharf —upon wh our men took bundles of hay & came up to her Stern, broke open the window & threw in & set it on fire, wh soon burnt down to the water. In the meantime 3 cannon played upon us from the top of Noddle’s Island. The battle lasted 10 hours, from 4 P. M. Saturday till 6 Sabbath day morning. The heaviest of the Fire was about break of day. Our men had nothing to screen them but the Presence of God. The enemy made shift to get their wounded & dead chiefly away. There was a sloop anchored off near the Ferry in musket shot from the shore [coming] to the assistance of the Diana. Capt. Foster gave her a few shots & so wounded her as that the hands were obliged to towe her off to the Shipping. Then Col. Putnam & a few others returned to Cambridge in high spirits. About half after 11 o’clock a detachment of several Regiments of 470 marched from Cambridge under the command of Col. [Ephraim] Doolittle, when I went with them upon desire. We arrived at Chelsea about 3 o’C. being about 12 miles. Here we took some refreshment & went to the relief of the guards about 6 o’C. There has been occasional fireing by turns good part of the day. Our men had supper very late. Considerable treasure has been got out of the schooner today and it is very remarkable that not a single Cannon has been fired at our men any of the time they were to work on the hull of the schooner. This wasn’t a major battle measured by casualties—the British suffered two dead and several wounded and the provincials only four wounded. 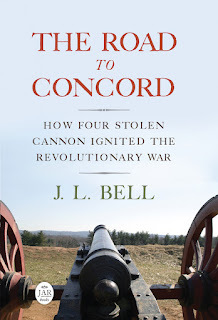 But it was the first big action of the siege after the Battle of Lexington and Concord. The provincials not only showed that they could fight, but they even got lucky enough to destroy a Royal Navy ship, taking some of its cannon. A few more fights like that, and the war would be over!